Caption: walking into winners circle. 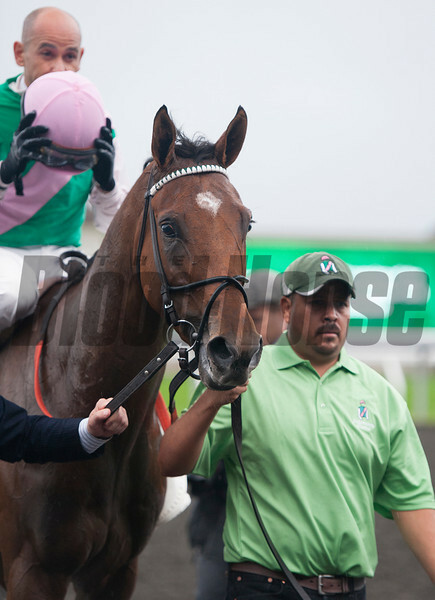 Emollient with Mike Smith up wins the Juddmonte Spinster Stakes (gr. I).